<---> Click to enlarge. Use on Buckram bindings 'fuzzy' childrens' books & polypropolene jackets. Then the 'super-no-res' adhesive DATE DUE labels will work on these items as well as the other 98% of your collection. 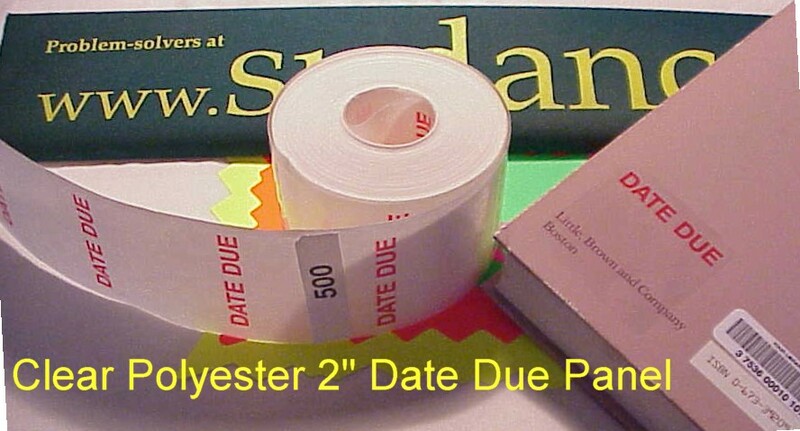 2" square clear label with red print "DATE DUE", 500 labels per roll.